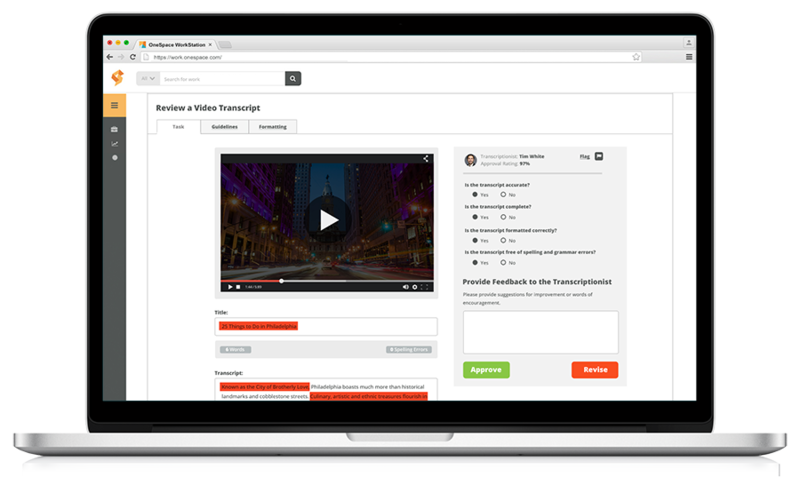 Boost organic traffic, improve accessibility, and enhance your AI and machine learning by transcribing audio, video and image files into structured, useful text. OneSpace’s platform combines workflow automation with professional transcriptionists to deliver accurate results in hours instead of days. OneSpace’s revolutionary transcription solutions are trusted by some of the world’s leading businesses, from fitness apps and travels sites to streaming services and software companies. transcribed 10,000 nutrition labels in one month. transcribed 1,251 audio recordings in one month. Enhance user experience, reach a wider audience, and quickly train image and voice recognition models. By transcribing audio, image and video files into structured, text-based data, you can improve site search and increase organic traffic. Enhance: Test and train your algorithms more efficiently. Optimize: Enhance internal site search and boost organic rankings. Engage: Improve accessibility for the hearing and visually impaired. Repurpose: Maximize your assets by transforming them into other forms of content. OneSpace is a workflow automation platform with a built-in network of professionally trained transcriptionists. Every subscription comes with a robust suite of quality-control features designed to help you transcribe assets faster and more accurately than ever before. Onboard your existing talent and amplify as needed with instant access to our hand-curated network of on-demand transcriptionists. 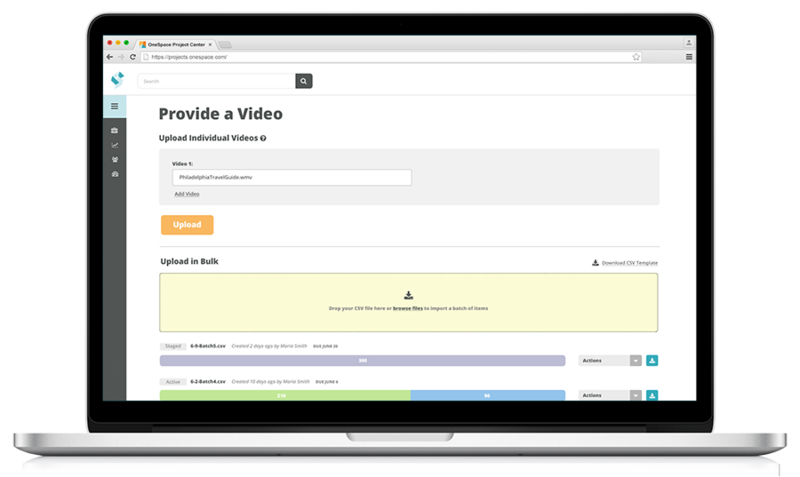 Post custom assignments to a virtual workspace that your teams can use to transcribe files anywhere, anytime. Transcribe assets at scale and optimize cost, velocity and quality using our point-and-click workflow automation tools. 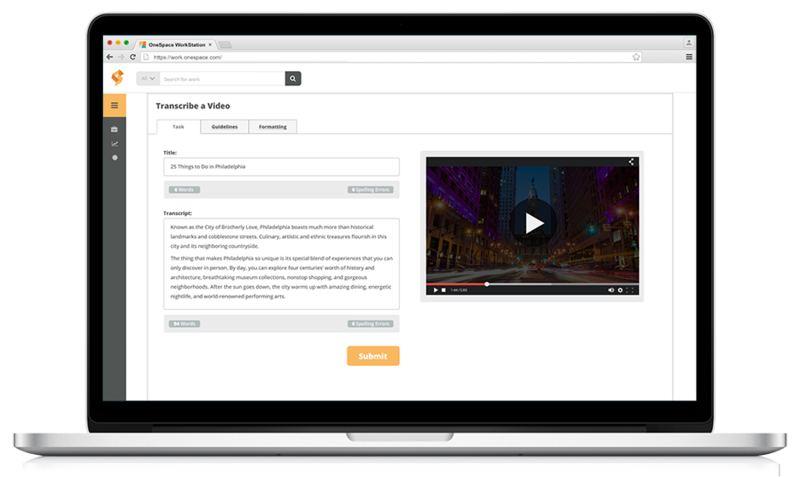 Set up audio, video and image transcription projects in minutes using OneSpace’s customizable workflow templates. Each template includes automated quality control features and step-by-step instructions to provide the highest quality outputs. Collect transcriptions in a standard, repeatable format. Clearly indicate changes in speaker. Include time stamps when relevant. Capture nonverbal cues such as pauses and interruptions. Send low-quality files to multiple transcriptionists for improved accuracy. A trained transcriptionist transcribes the file according to the specifications you provide. Send low-quality files to multiple transcriptionists for improved accuracy. A trusted reviewer or one of your internal team members reviews the transcript for accuracy and completeness. Use our spot-checking feature to limit the number of items sent to review. Download the completed transcript, or automatically transfer results to your database via our API. 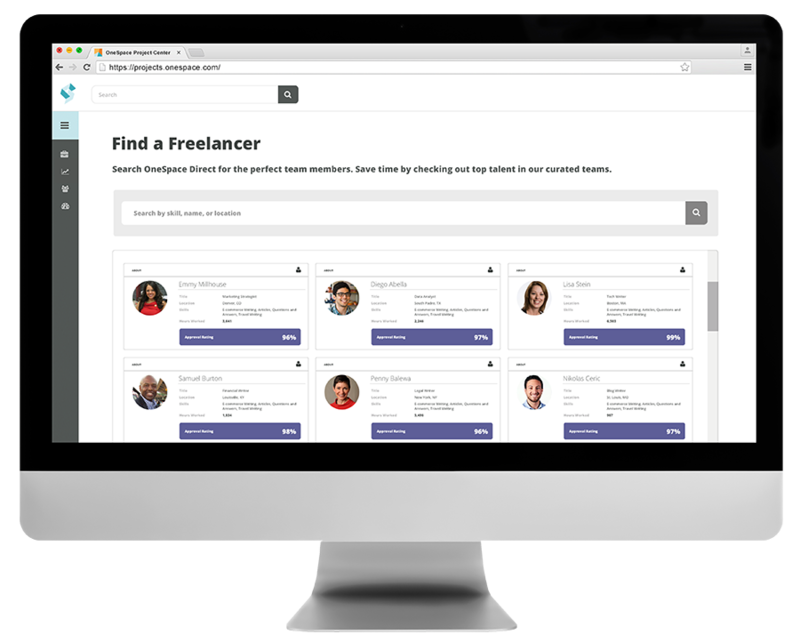 Gain instant access to the best talent OneSpace Direct has to offer with our hand-curated teams of freelance transcriptionists. These independent professionals are heavily vetted and have experience transcribing image, audio and video files for companies such as Weight Watchers and Voxpopme. "I would highly recommend OneSpace for any team looking to tackle large-scale content creation or data structuring initiatives. You will save time and money, no doubt about it."